$5000 in closing if Buyer uses Builder preferred lender? Must contract by Feb 28th, 2019. * Wow! This recently completed Hailey plan is breathtaking. Upon opening the front door, you are immediately greeted by the beautiful wood look flooring and the open kitchen/dining/living areas. The kitchen features plenty of cabinets and counter space, with granite, stainless steel appliances, and a vented microwave over gas range. The neutral color pallet is just waiting for the finishing touches by a new owner. 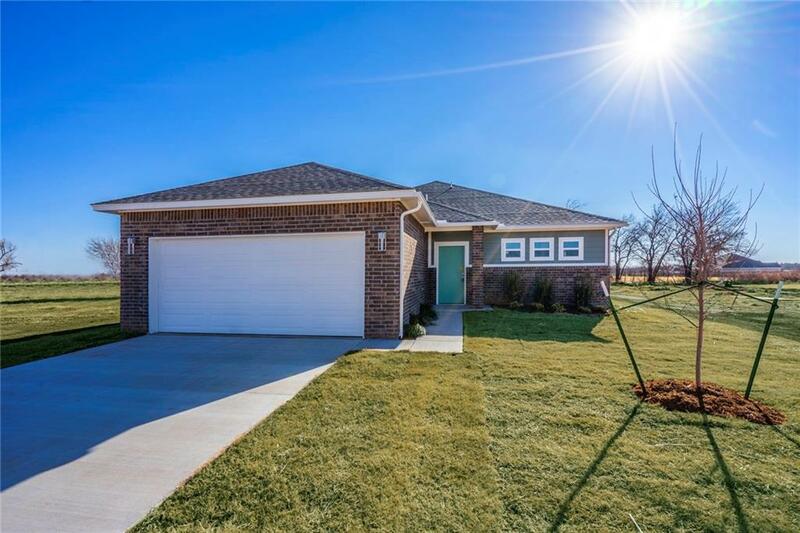 This home ticks all the right boxes including location, just off NW 10th and the Kilpatrick Turnpike. This high-performance home features a fully footed post-tension foundation, 2X6 exterior walls, Tankless Hot Water, custom, shop-built maple cabinets, high definition lifetime shingles, 95% high efficiency furnace and a 14 seer AC unit, includes a HERS rating, and is certified to OG&E’s Positive Energy Standards. Don’t miss out – call to schedule your showing today!